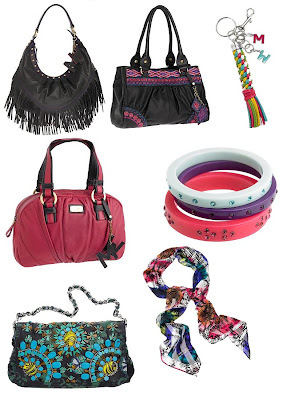 - there are some cute/chic bags from Marc Jacobs main line at 40-50% discounts. A treat not to pass easily! - Vivienne Westwood Red Label signature orb necklace or brooch. A fabulous belated gift idea or a nice little treat for yourself at 50%off. Today it snowed for the first time in Bucharest. 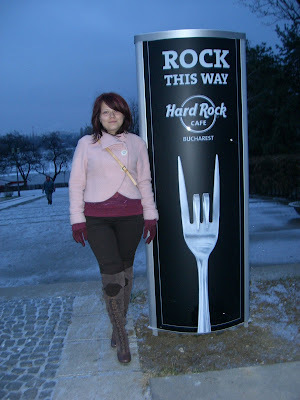 It was so cool when we walked out of Hard Rock Cafe to see the ground covered in white. Too bad that Christmas was snowless though. We've spent the morning in the office, before heading to our familiy to spent Christmas Eve eating a lot. I've been good this year. Really, i've been. So that's why i deserved a present. From myself. I will wear them for New Year's Eve party. Have a happy Christmas holiday everyone! Hello again. And sorry about the lacking in posting lately. This is due partially because of the Christmas frenzy around here, and partially because of my new obsession with the Twilight Saga. I've ordered the books a good 6 months ago, but I ordered them together in one shipment from Amazon, so they all arrived after the 4th book of the series, "Breaking Down" was launched. And I am glad I received them like this, because reading them apart would have been a painful experience for me. 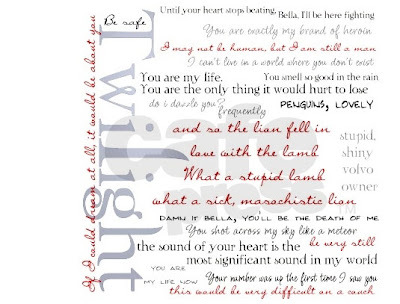 If you didn't read them yet, a short description: the Twilight Saga contains 4 books, all over 500 pages, describing the love relation between teenage Bella and "teenage" vampire Edward. I began reading them last weekend, Saturday night. By Sunday morning I was on my way to finish the 3rd book. 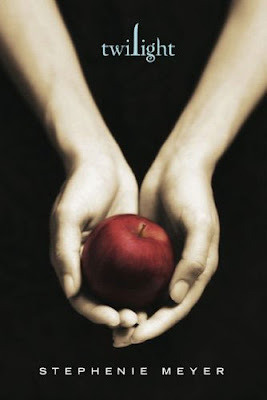 I was instantly drawn to the main story, the forbidden love between Bella and Edward. Although the first book did not have at all action until the last chapters, the tension between the characters, the way they interacted captured all my interest. The second book, "New Moon" is sad, and I could well relate to Bella and all her sadness, alone when Edward decided to leave her for her own good. "Eclipse", the 3rd novel, compensates in action for the other two. You have a lot of fights going on, and it ends in a very happy note. The last one, and the biggest of the lot, "Breaking dawn", features Bella finally transiting to the vampire world, becoming one herself at last. But her finally found happiness will not last forever, until another great fear will be overcome: the "royal" vampire family, the Volturi, wants to tear their family apart. Monday morning I finished the 4th and last one, and I begun to search online for more interesting things about them. Of course, the movie is already launched in USA (but not in Romania - very annoying thing), but the most interesting thing were the extras and outtakes from the books, online on the author's site (stepheniemeyer.com), that I’ve read in an instant. Another great and sad in the same time find was the "Midnight Sun" draft, freely available on the same site. Great because that way I got to spend a little more time in the universe of Bella and Edward, sad because due to its illegal leaking all over the internet Stephenie decided to stop writing it, so it has only 12 chapters, telling the same story as the first book, only from Edward's POV. Anyway, to end my long post, now i am done reading all the books the second time. Just because the first time i was such in a rush to learn more about the characters, so i didn't have time to understand every little aspect and word. 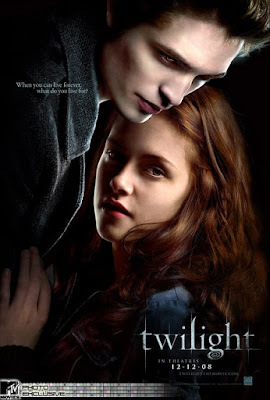 What do you think about the "Twilight" Saga? Have you read the book/seen the movie? 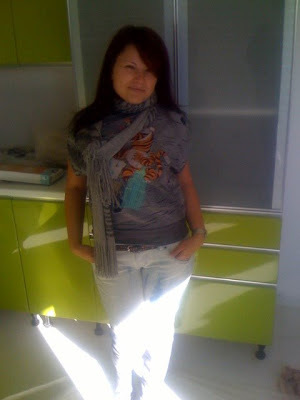 My new fav brand is Custo Barcelona, which recently opened in Romania. I love all their quirky prints, all the colors and combinations. 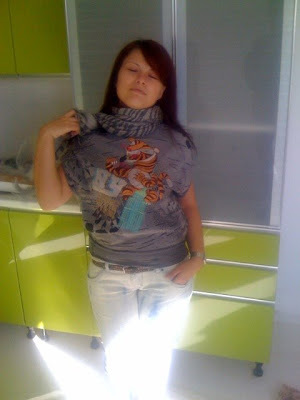 I am talking about nice geometrical prints, but also cute animal prints that I have to have. Sadly, the Romanian store has some crazy prices, 2-3-4 times bigger than the ones I can clearly see online. Eh well, I couldn't resist to buy this t-shirt thought. It was awfully expensive, but awfully cute as well! It is a tiger attacking NY. Go figure! I liked other things as well. A pink dress, some jackets and the leggings. They say that they ship to the entire EU, maybe i will give myself a nice Christmas present. I'll let you know how that will go. This year the IT piece of the season is the faux fur jacket. It looks really glamorous, while being totally ecological. And it's not that expensive as real fur is too. All the more reasons to buy at least one of this fabolous coats. My favorite is the military style one, from Armani Exchange, but i also like the fluffiness of the Mango one. On the con side, many say that faux fur is a fashion faux pas and kinda kitchy. 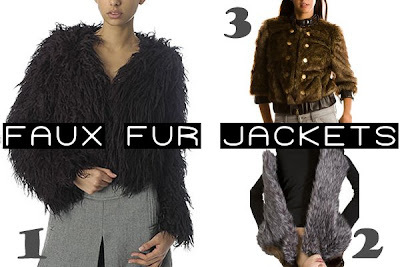 What do you think about faux fur jackets? Well, as I said, I think it partially because of my self-imposed ban on net-a-porter or because laredoute.fr stopped shipping to Romania. Either way, I find myself browsing eBay on a daily base, and that is showing on the number of packages received lately. Anyhow, inspired by the Stella Mccartney bracelet scored some weeks ago, i begun searching some other H&M designer collaborations as well, to see what i can find. To my luck, the beautiful Cavalli leather fringe jacket, that i couldn't even see at least at the lauch because it was gone in the first second after the doors opening, was there, waiting for me to do a simple bidding. 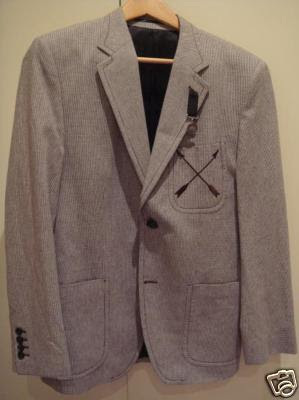 Sadly, i have to wait spring to wear it, but smile every day when i see it in my closet. Also, to match my bracelet, i also found the chain purse Stella did for H&M. 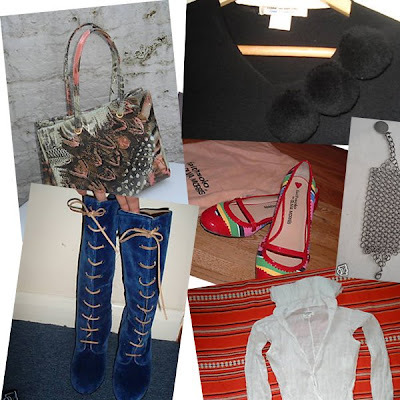 Another buys: a very cheap jacket from M by Madonna for H&M collection, a pair of fur Olivia Morris shoes (you know, for the collection), a pair of Giles Deacon black&gold sandals and a top by Poltock&Walsh, the duo of hip young british designers fave of Kate Moss. I am not a rocker. Not at all. 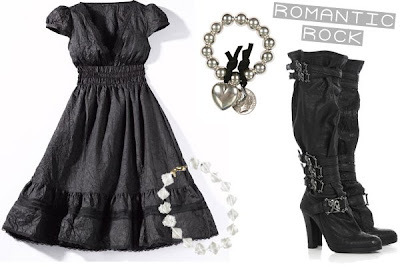 And while i love pink and i general happy colors, i like to spice up my outfits with a little romantic rock element. My favorite right now are the Thomas Wylde skull boots, but the price is way too big for me :(. I also like the crystal necklace by Kenneth Jay Lane, i think it'll work very chic with an all black outfit. For a more romantic take on this trend, the black from La Redoute Creation has everything it takes to be perfect for this fall-winter. I practically lived in those jeans this last week. They are really comfy, and I am kind of sick of all the skinny jeans style, so the bootcut is perfect right now. So perfect that I got another identical pair on ebay a few days ago, but that's a different story. The pom poms are the most interesting thing i've ever bought on ebay. Because this weekend i went skiing (yup, we have already snow in Romania) i had to wait till today to wear my new Comme des Garcons sweater. It is the cutest thing, and i am loving it to pieces. I wear it with my Comme des Garcons for H&M jacket and scarf. For some reasons, I don't own that much cardigans. I have maybe one or two boleros, which I wear mainly spring/fall, and 2-3 long sleeves cardigans. 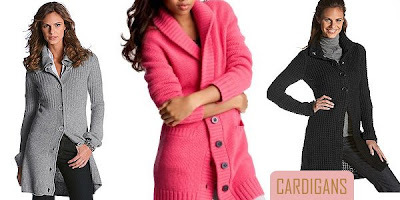 But this year I want to invest in some long cardigans, to wear them under long winter coats for an extra warm and comfort. I am thinking that I need at least 3 long cardigans, to cover my entire wardrobe. 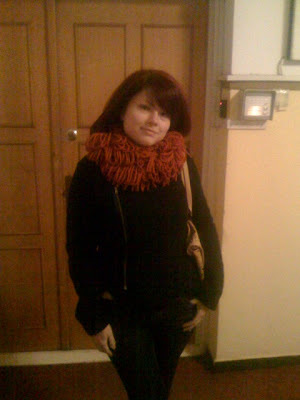 One black, which I can adapt to a more sophisticated look. Then, one grey, because I have now so many grey pieces of clothing. At last, a vivid colorful one, probably pink, for a funky comfortable look. I've finally convinced my husband to buy a man bag from Mango. But he didn't wear it yet, so i don't know if i fully succeded with my efforts. 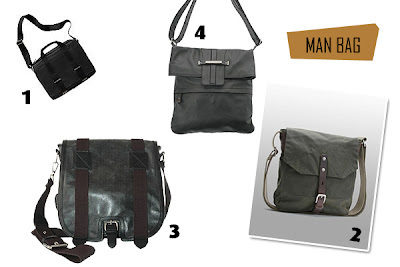 What do you think about man bags? Sunday we went to our new apartament, to see how things are and what are we suppose to buy next (furniture!). You can get a glimse of how our living room and kitchen will look, but when everything will be finished, i will take some better quality pictures. Also, this was a weekend of debuting. Saturday night i bought the a la Balmain Zara jeans, and i decided to wear them right the next day. 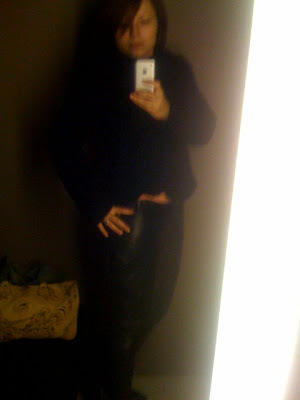 I finally decided to debut my new leather pants. I paired them with a puffy shoulder nectar colored top from Victoria's Secret. As outerwear i opted for my deconstructed jacket by Comme des Garcons for H&M. Interesting choice of clothes, don't you think? 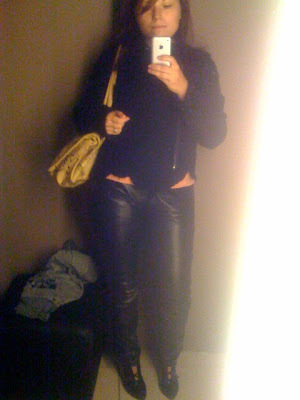 Tough leather pants, puffy pinky blouse and deconstructed jacket. Eh, well, i kinda like the combination. 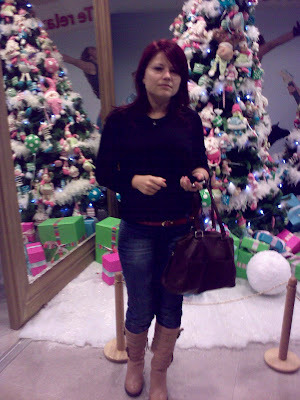 The pictures are from a store, where i tried on some Custo Barcelona clothes (my new favorite brand - more on that later). Too bad in Romania they have exorbitant prices (around 400 euro for a dress i saw online for 100$), so i ended up with only one t-shirt. I liked it a lot on shelves, and it kinda looked familiar when trying on. Only back home i remembered: it is the exact same t-shirt Jane from seaofshoes.com is wearing here. 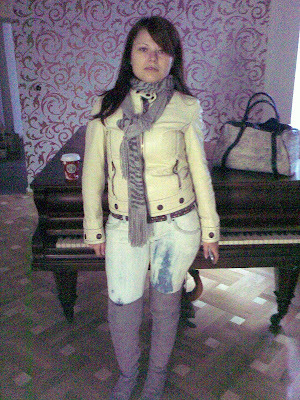 I am obsessed for some time now of getting myself a nice pair of leather pants (ever since i found a pair of Versace brown leather pants at 300$ - from 1000$ and i left them in the store). Considering that i am not fashion model material, the pair of pants for me must be extremely well constructed, and fit me perfectly. I searched everywhere in stores here in Bucharest, but no luck at all. Then and only then i turned to search online. 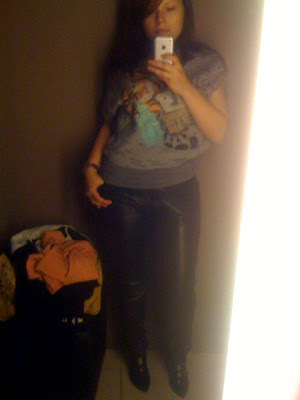 My instant love were the Alexander Mcqueen (1) leather skinny pants available on net-a-porter.com. They seemed great, with interesting details - a perfect match with my taste. But the price was not at all a perfect match with my wallet, at 1900 euro even with discount they will be way out of my league. So i continued searching. ebay had nothing, and the second pair i like was on victoriassecret.com (2). The Kate Fit legging in leather seemed quite ok and almost what i wanted and at a match better price ($198). But it seems that everyone thought the same about those pants, because they were out of stock. That's when i remembered to search on my trusty shopping buddy laredoute.fr, and here they were: from LaRedoute Creation(3), skinny, with a nice price and in stock. Madonna will be the new star of the Spring '09 Louis Vuitton campaign, acording to style.com. Beside from a new face, LV is getting a new photographer. Its name is Steven Meisel, and that is going to end a nearly seven year run with Mert & Marcus photographing the campaigns from mainline to cruise collections. 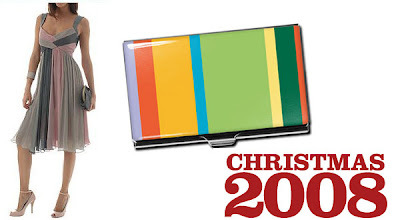 The fashionspot.com is giving us a full retrospective of the past Mert & Marcus for Louis Vuitton campaigns. Enjoy!